This Certificate Frame Can be Used on a Tabletop or Wall! These are Just a Sample of What This Online Superstore Offers! 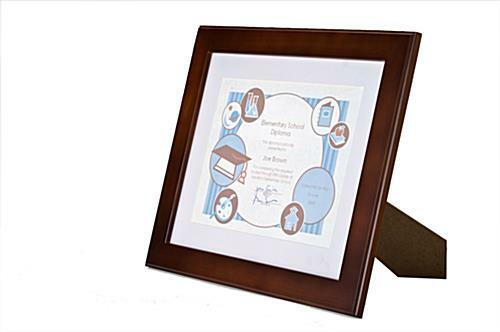 Order This Certificate Frame Early to be Eligible for Same Day Shipping! Certificate frame has an optional white matboard. 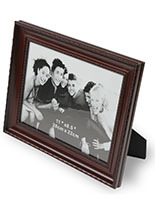 Accommodates photos up to 13-7/16"w x 10-7/8"h.
Certificate frame comes with a glass lens to protect documents. Unit mounts in vertically or horizontally orientation. 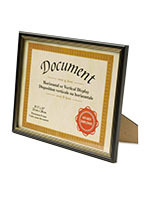 Certificate Frame : 8-1/2" x 11"
These are wood certificate frames that are stained black. 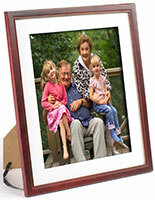 These picture holders are very durable for years of use. 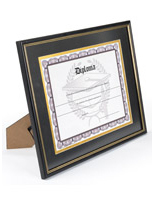 These certificate frames will protect the award or diploma from being torn or creased. These wood holders for a picture also work well displaying artwork. 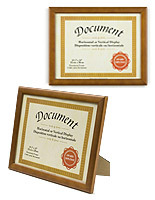 These are certificate frames that can fit diploma and are known as document displays. These wood award displays may be used to showcase a picture on a desk or hung up on the wall. These are certificate frames that have an optional mat. 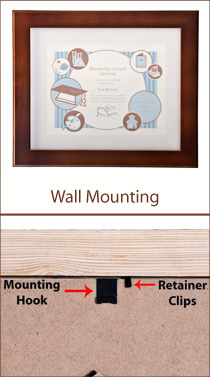 This picture holder can display an award or diploma larger than standard size if needed when the mat is removed. 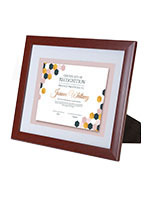 These certificate frames work with any décor. The neutral color of this wood holder for an award, diploma, or picture will be great in any environment. These certificate frames are stained black. These wood displays can showcase a picture or an award in either a portrait or landscape format. 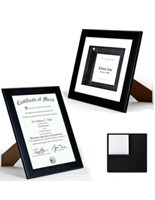 These are certificate frames designed to fit a diploma. These wood award displays will look nice for years. 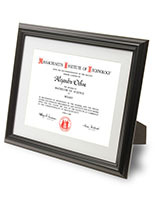 These certificate frames that hold a diploma can be found in an many colors, sizes, and styles.